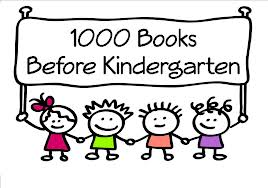 The Ortonville Public Library is starting a program called 1,000 Books Before Kindergarten. The program is really quite easy. Read a book (any book) to your newborn, infant, and /or toddler. The goal is to have 1,000 books before your child starts kindergarten. The key to attaining this is perseverance. make it exciting. When your child reaches a milestone, we will give him/her a small reward. The milestones will be at each 100 books. When they have reached the 1,000 mark, they will be able to choose their very own book and will receive a certificate of completion. Read with your child. Studies have shown that reading with your child provides a great opportunity for bonding. Reading together is fun and will create life-long memories for the both of you. Keep track of the titles of the books you read with your child. Enter them on the reading log provided in your folder. You may also enter books that are read to your child by a teacher or a sibling. Any child from birth until entering kindergarten is eligible for this program. The program is self-paced and will depend on how often you read together. All of your children who are in this age group are eligible to participate. Stop in to the library beginning on September 2 to register your child. Each child will be given a book bag which has a folder. Inside the folder will be a book list of books that are suggested your child read before kindergarten. Also in the folder will be a reading log for their first 100 books. If you have any questions, please contact the Ortonville Public Library at 320-839-2494.